Over the weekend, I dove into the next Good Eats episode titled “Mission Poachable” which has recipes involving…you guessed it…poaching. We’re going to kick things off with Poached Eggs. 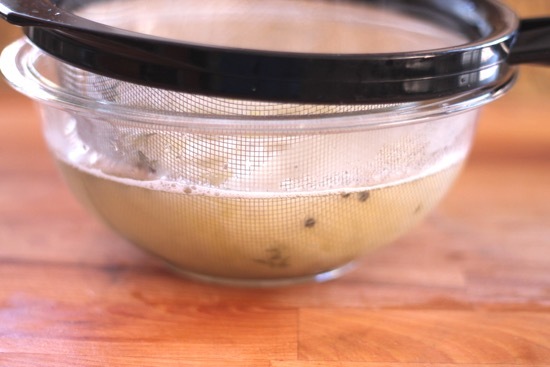 Poaching eggs couldn’t be easier. There are just a few things to keep in mind. When poaching eggs, you want to make sure you use a non-stick skillet, because the eggs are not non-stick. Make sure you use fresh eggs. The fresher the better. Separate the eggs before the big plunge. Slowly cracking an egg in simmering water is pretty difficult to accomplish. Don’t be like me and think–pshhh, I can do that. Just separate them before, got it! A little vinegar will help the egg whites feather less, meaning spreading out over the whole pan. This way you’ll get a neater egg. 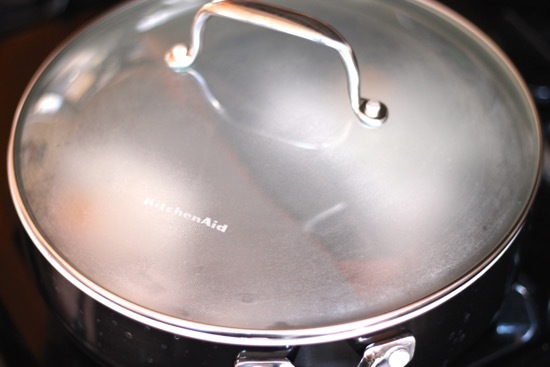 Poaching refers to cooking by submersion in a liquid held just under the simmer. Not a boil, a simmer. This is very important to achieve the perfect poached egg. p style=”text-align:center;”> Get your eggs into separate custard cups or ramekins, and bring 1 inch of water to a simmer in a skillet. Turn off the heat and cover for 7 minutes. 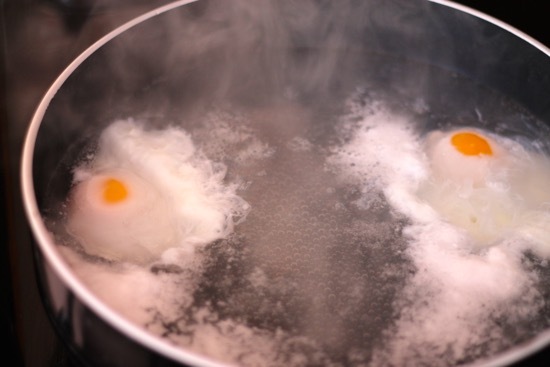 The heat stored in the water will finish cooking our eggs. Carefully scoop them out with a slotted spoon. See, just because you have some feathering, does not mean your eggs are ruined. The yolk has set and has a slight, soft, golden lava flow in the center. Season with a little salt and pepper and dig in. I like my eggs more runny, so next time, I’ll pull them out at 6-6 1/2 minutes. Play with it and see what your preference is. 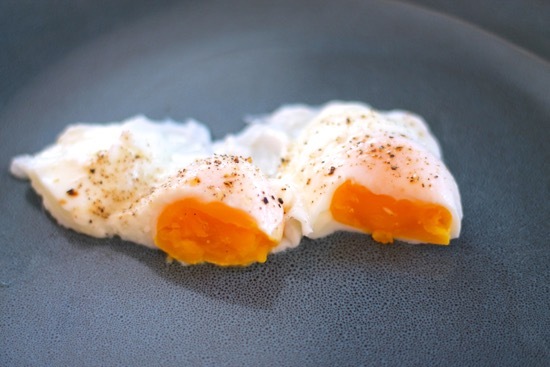 There are many methods to poach eggs, but this is my favorite. 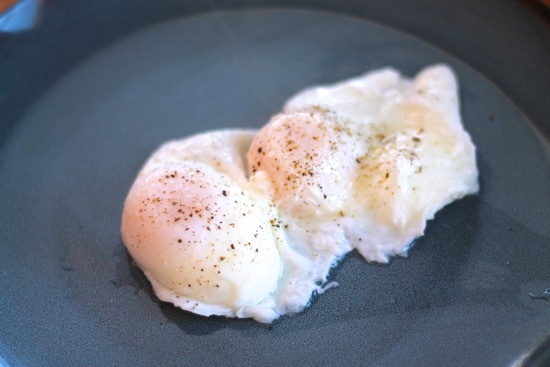 What are your favorite tried and true ways to perfectly Poached Eggs? 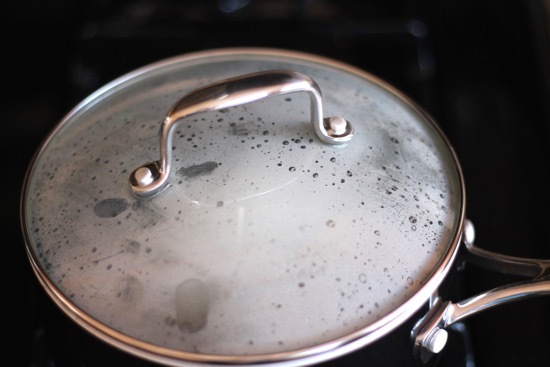 Add enough water to come up one inch on the sides of a saucepan or skillet. Add in salt and vinegar. Bring to a simmer (not a boil) over medium-high heat. 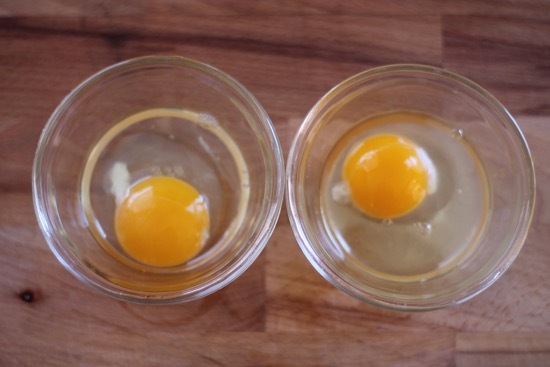 Crack each egg into a separate, small custard cup or ramekin. Once water has reached a simmer, lower the cup into the water and gently pour the eggs into the water one at a time. Turn off the heat and cover for 6 minutes. I am not a big fish fan, never have been. I do however LOVE Sushi. I know, doesn’t make much sense. 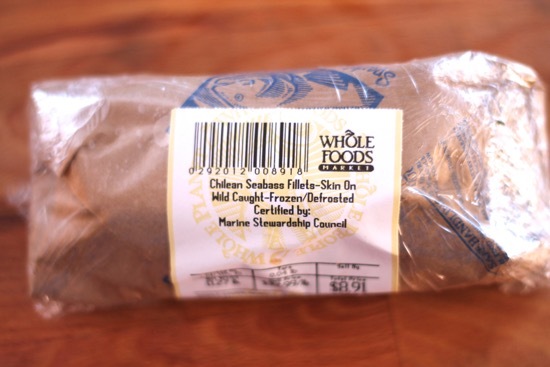 In order for me to like fish it has to…well…not taste “fishy” and have a great base flavor. I have some restaurants we go to, that I’ll only order the fish, because it’s that good. And if I’m ordering the fish, it must be outstanding! My favorites are Dover Sole and Sea Bass. 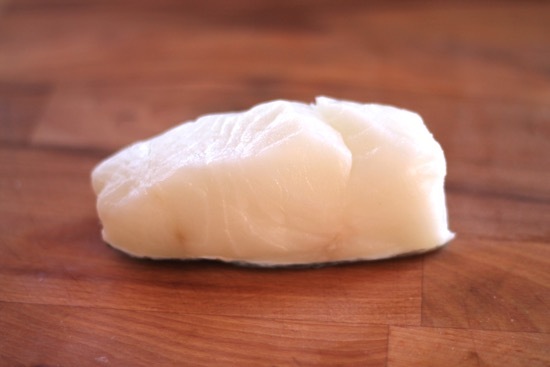 So when I saw this recipe for a poached Sea Bass, I was excited to give it a try. It starts off with a Court Bouillon, and that’s nothing more than liquid, acids, aromatic vegetables and herbs. 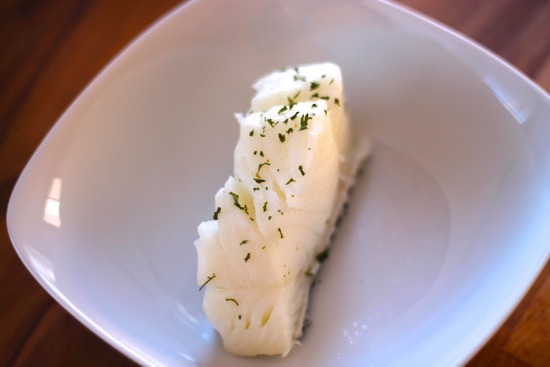 It gives the fish a wonderfully fragrant, crisp, clean taste that doesn’t overpower. It’s simple and perfect for this dish. 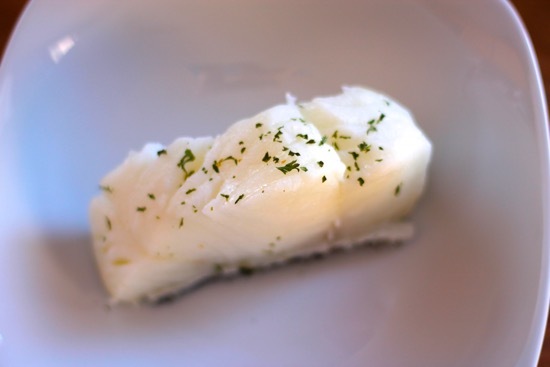 The end result is a perfectly cooked Sea Bass fillet with a delicate, fresh herb flavor. It could give the expensive Sea Bass served in restaurants a run for its money. Verdict–Good Eats! Strain out and discard the solids. Pour the liquid back into the saucepan. Grab your nice piece of Sea Bass. You can leave skin on or off, it’s your preference. 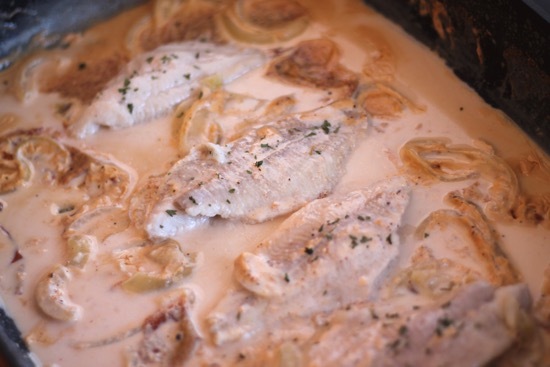 Bring the Court Bouillon to a simmer and add in the Sea Bass. Make sure you only submerge it partially. You don’t want it floating around in the liquid. 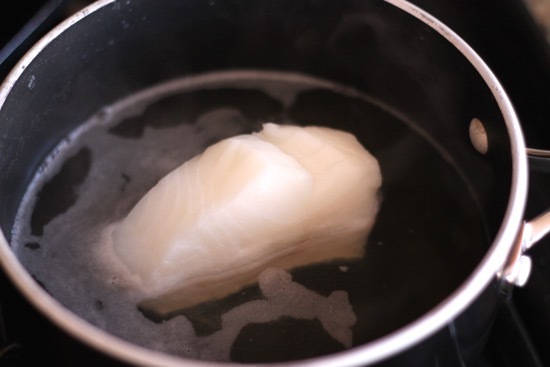 Lower the heat, cover and poach the fish for 5-7 minutes. Carefully scoop the fish out. Plate and enjoy! 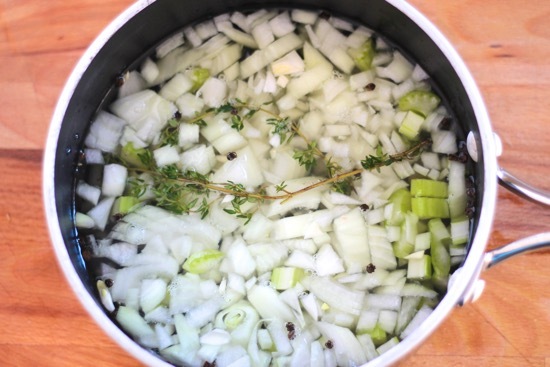 Combine water, white wine, lemon juice, onion, celery, garlic, peppercorns, thyme and bay leaf in a saucepan. Bring to a boil, reduce heat and simmer for 8 minutes. Strain out and discard the solids. Pour the liquid back into the saucepan and bring back to a simmer, or refrigerate for up to 3 days. Bring the Court Bouillon to a simmer. Add in the Sea Bass. Make sure you only submerge it partially. You don’t want it floating around in the liquid. You guys…YOU GUYS…You have to make this right away! You know I’m not a big fish fan, and certainly I would’ve never thought myself at a catfish fan. That all changed one glorious sunny day when a friend brought me the most delicious fried fish I’ve ever had in my life. I asked what it was, and when they said catfish, I was in pure shock. I guess I’ve been a little down on catfish in my life. Being from the land of 10,000 lakes, there was just so much more to choose from. I took back every bad thing I’ve felt or said about catfish that day. I never thought I could love another catfish recipe like that, until this one. I can’t say enough good things about this. It’s so delicious. I wanted to bathe in the poaching liquid. It’s unbelievably flavorful. No, it’s not battered and fried (that’ll come another day) but you won’t miss it, I swear! There’s just something about the evaporated milk, Old Bay seasoning and onions that make the most perfect poaching liquid OF ALL TIME. Using an electric skillet allows you to monitor and maintain the perfect temperature during the entire poaching process. It’s a winner all around. This is the last of the poaching recipes, and I definitely saved the best for last! 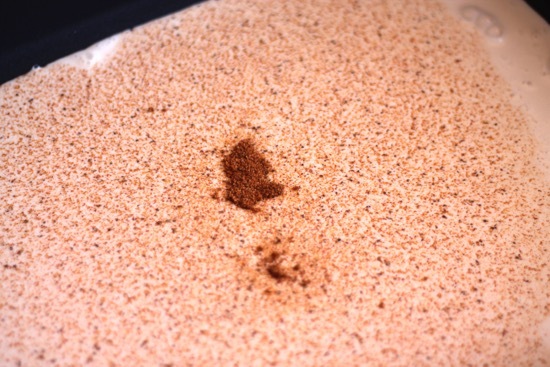 Start off by pouring the evaporated milk in the electric skillet. …and thinly sliced onions. Gently mix all the ingredients together. Turn on the electric skillet, cover and bring liquid to a simmer. 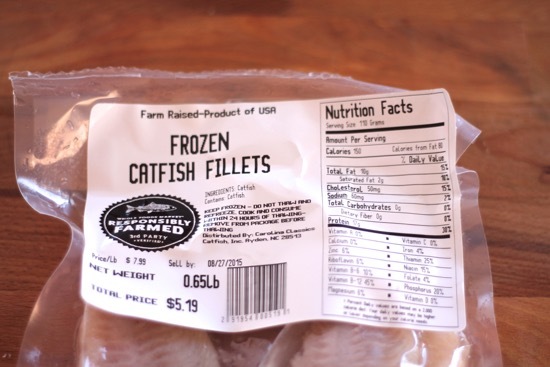 Get your catfish fillets ready. 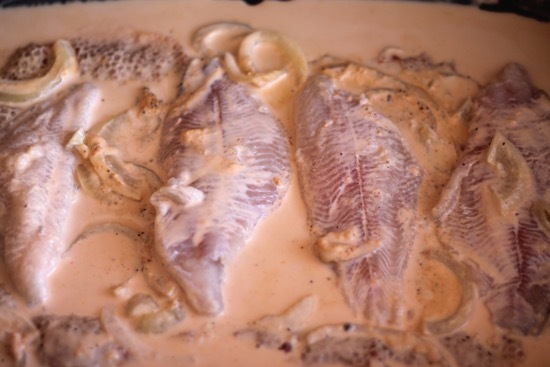 When the liquid is simmering, add in the catfish fillets. Be sure to spoon some of the delicious liquid right over the top of the fillets to really get them coated with that flavor. Cover, reduce heat to 145 and poach for 9 minutes. 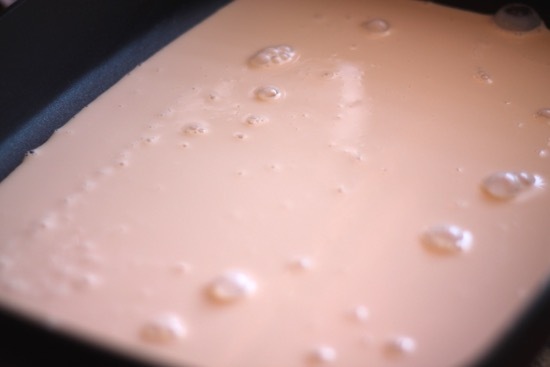 Pour the evaporated milk in the electric skillet. 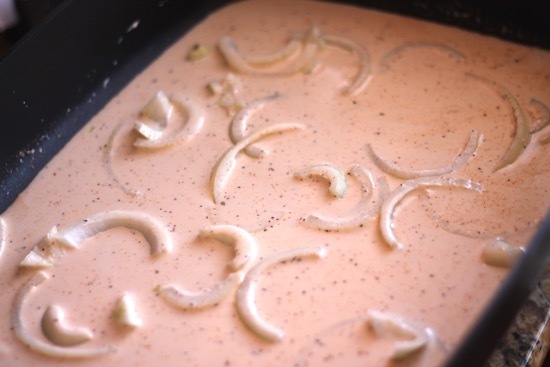 Add in the Old Bay seasoning, salt and pepper, and onion slices. Turn on the electric skillet, cover and bring liquid to a simmer.